I tried teaching many of them more complex fighting strategies, but most people, even highly trained people couldn’t learn it quickly. I tried tons of different methods but failed over and over, leaving me completely frustrated. Then, one day I was called in by a guy who the President tapped to be the next head of a big law enforcement agency. For privacy reasons, I won’t publicly state who that was, but can send you a letter by him to prove my story (just email me). He said that he has heard of my work, and wanted to come and take part in one of my training sessions. I was shocked that HE was contacting me, and obviously accepted his request. He came, he saw, he trained, and a little bit later I was asked to meet up with him outside of Chicago for a private meeting. Learn my patented "X-Spear-Sewing Machine" tactic which the elite agents loved! How to use the psychology when facing or using a gun to your advantage using bargaining, exchanging and "no shoot" quick decision making. The simple 2 on 1 defense strategy, covering knives in close quarters! EVERY KIND! Which is why I called it the Street Fighter Matrix, as this formula prepared whoever went through it for every kind of attack, assault and vicious crime! How to use the "Dangerous Priority" rule to take out multiple attackers with weapons! Access to ALL THREE Street Fighting Matrix DVDS online through our training website. This is a member's only site where you can watch the videos on your computer, tablet or smart phone! 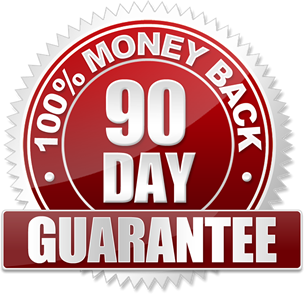 This is not a monthly fee, as I'll give you the whole program at once! Street Fighting Matrix Training Manual and Pictorial Guide. You'll be able to download this from the member's website, as it is a full color manual covering every technique and strategy! The "mix drill" so you can react like second nature to threats! The "free flow" drill teaching you how to deal with weapon attacks on the ground! The "continuous multiple attacker" drill... super intense stuff! Online Access, Training Manual and Bonus Videos for $127. I think so. Just know I do not make tons of copies of these DVDs, as they are expensive (given our special “matrix menu” system which is included on each DVD) and a pain to keep in stock. I have just a handful left after shipping out this next set of orders, so don’t wait. You are about to be one of the few students on this earth who get to see the same information I taught elite agencies! Order now! PS: I can only include the bonus videos by Thursday, August 18th 2016, as I only want to give them to those VIP members who can take action, protect themselves and loved ones. Order now!